James Toseland’s new MotoGP team boss has said he can’t wait to begin the British star’s hectic winter testing schedule in Malaysia next week. And Herve Poncharal said James Toseland’s triumph in the World Superbike championship in Magny Cours last month, would make his transition to the premier class much easier. “It was so good to end his career as world champion and to come to MotoGP a lot stronger. It would have made a big difference had he come to the team having lost the title. “I always told him whatever happened it wouldn’t change my mind at all about his level or ability but for him it was a big thing. At one stage he told Roger (Burnett) ‘I hope Herve doesn’t regret his choice.’ Never. “For me James is the best we could have had. 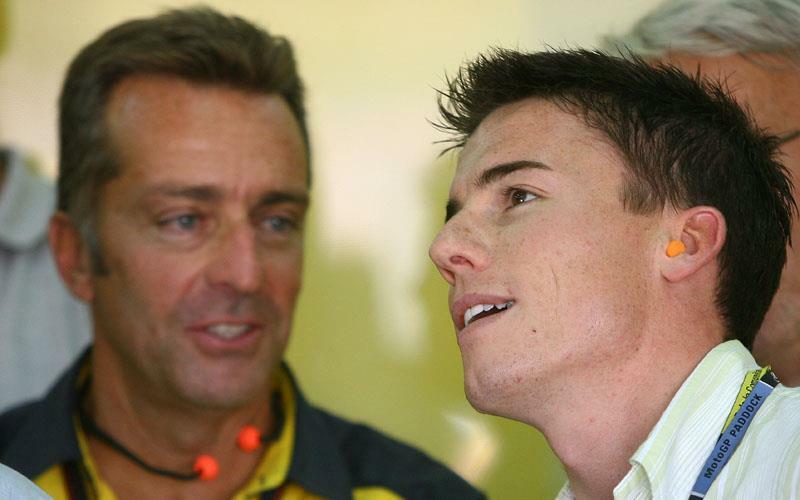 I’m really looking forward to working with him and I’m sure we will do great together,” Herve Poncharal told MCN. The Tech 3 will also field fellow double World Superbike champion Colin Edwards with Toseland next season. James Toseland make’s his YZR-M1 debut on Thursday, November 15, 2007 and will test once more in 2007 at Jerez later this month. The three-day session in Spain will give him his first chance to ride against world champions Valentino Rossi, Casey Stoner, Dani Pedrosa and Nicky Hayden.